The worker in the second decade of the 21st Century is a very different person compared to 20 years ago! People born after 1985 understand the concept of the independent worker, however those born before 1985 struggle with this fundamental change. This often leads to a disconnect at both management level and people in a current job search. In essence each worker now has a skill set developed through both education and experience that is valuable to a potential employer, which then enables people to move quickly from job to job or project to project, and with different employers if necessary. The concept of a single job with one employer for an extended period is long gone. While pre 1985 people may lament these changes it actually gives a worker the freedom to move employers, work from home or overseas. This is all contingent on the worker ensuring that their qualifications and skills are constantly updated to ensure currency and relevance in the modern workplace. Today's worker is really their own little micro business and as such marketing their skills via continual social media management and personal networking is critical to a person's ongoing value to the market. 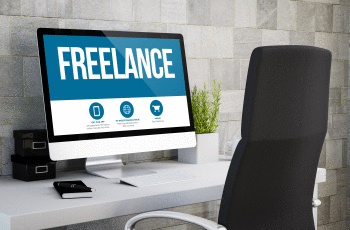 Attention to career planning and multiple fast evolving industry developments are major components of any freelancer's tool kit. The workplace now accommodates this "freelance style" of working with hot desks and use of mobile devices provided and/or encouraged by employers. This is the world of work in which we now live! Do not ignore it, do not fight it, simply embrace it and enjoy the benefits and freedom never dreamt of in prior generations.